and Sunday afternoon 1 – 3 p.m. In 2017 the Episcopal Church of the Good Shepherd was challenged and invited to try a new way of being church that participated in the economic as well as spiritual level of the local and world economy by opening a coffee shop in our building. We spent a good part of a year learning about other churches with coffee shops, economic models, and coffee and how all those things could come together to form an authentic expression of who we are as a church, our care for our community, and our desire to make a positive contribution to our neighborhood. Thanks to a generous financial gift we were able to purchase the equipment, supplies, and staff needed to start transforming a dream into reality we named CrossRoads Cafe. CrossRoads Cafe sits at the crossroads of Park Place and University Terrace, and is a crossroads where busy schedules meet with a bit of rest and refreshment, and the crossroads where coffee connects with community. 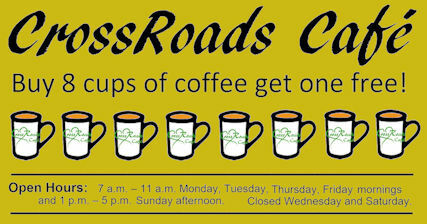 Besides providing delicious cups of coffee and coffee drinks, CrossRoads Cafe is our attempt to practice what we believe. We believe all people regardless of race, color, age, economic status, gender or gender identity, etc. deserve to be treated with respect. In addition to our friendly staff, we have trained listeners who are present and willing to listen to any of our customers. If you have been having a bad day, feel homesick, unsure of the future, or want to talk about the complex issues pertaining to religion, our listeners will listen with compassion. 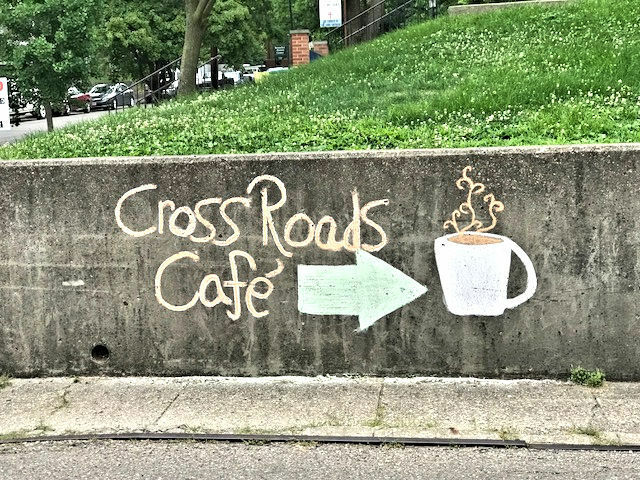 We want CrossRoads to be a place where you can get a good cup of coffee and go about your day, or stay and find a safe place for study, conversation, or privacy. CrossRoads exists because of an act of generosity and therefore wishes to embody opportunities to be generous and receive generosity in return. 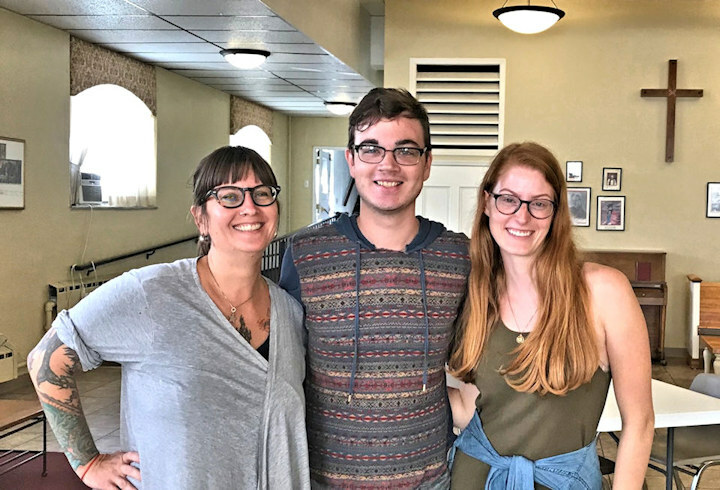 Connect with the CrossRoads staff. 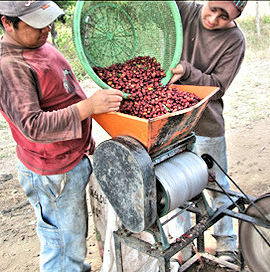 We are proud partners with Deeper Roots Coffee in Cincinnati who purchase the coffee beans they roast directly from local farmers in Columbia, Guatemala, Nicaragua, and various other places. Deeper Roots has established relationships and continues to work with these farmers to cultivate better tasting coffee beans and help improve farming techniques that will hopefully create better sustainability as well as ensuring long term health of the crop. These farmers harvest, dry, and process their beans and then send them to Deeper Roots who roasts the coffee beans and then sends them to us to be ground, brewed, served, and enjoyed by our customers. 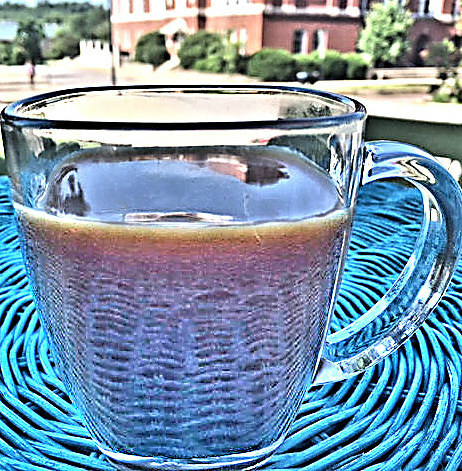 Purchasing a cup of coffee from CrossRoads Café not only helps provide jobs for people in our Athens and OU community, it directly positively impacts the lives of the farmers, their families, and their communities. As we grow, we hope our partnerships with other local businesses also grow, creating a healthy, deeper positive economic connection. Buy 8 cups of coffee and get one free. If you have experience and/or training and want to participate in CrossRoads you can volunteer your services for when we need additional help. Come for our training sessions and learn about coffee, operating espresso machine, and brewing coffee. 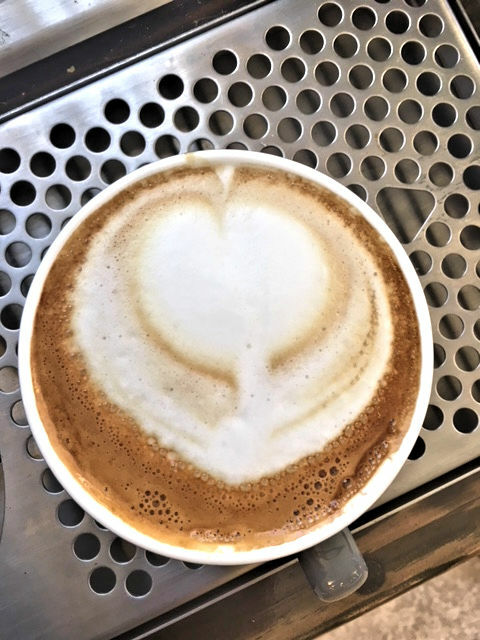 These training sessions are open for anyone who loves coffee and wants to explore working in a coffee shop or maybe starting one of their own someday.